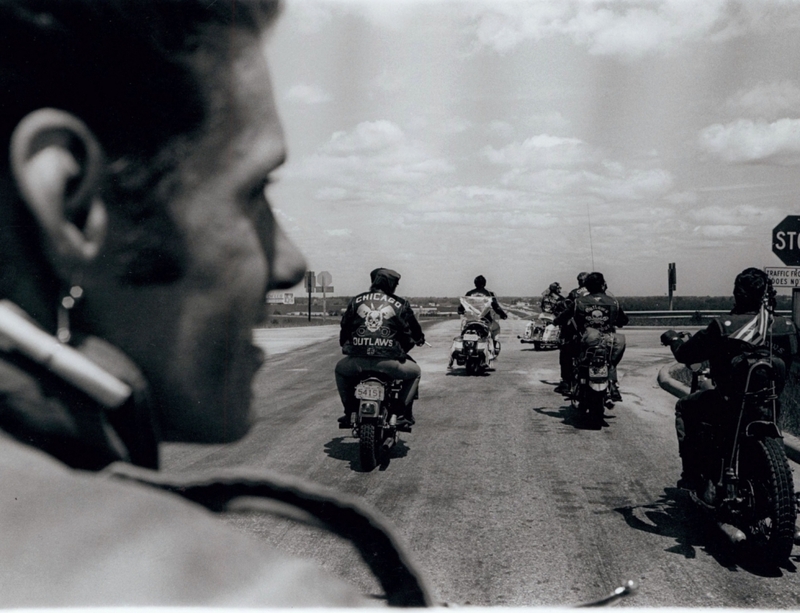 In the 1960s Danny Lyon photographed the Chicago Outlaws Motorcycle Club, not as a passive observer, but in close, as part of the gang. The resulting photographs capture a subculture from the inside and form one of the defining photographic documents of that time, influencing many photographers who went on to record the decades that followed. Lyon was born in New York in 1942 and first started photographing in the early 1960s as a staff photographer for the Student Nonviolent Coordinating Committee at the University of Chicago. His earliest photographs were published in a book on the southern civil rights movement, and since then he has continued to produce work that aims to shape and change opinion.